The Florida Institute of Technology appears in our ranking of the 10 Best ABA Master’s Degree Programs in the East. The Florida Institute of Technology offers five degrees and two certificates in behavior analysis through the College of Psychology and Liberal Arts. The Bachelor of Arts in Applied Behavior Analysis (ABA) is part of the School of Psychology and requires a total of 120 credit hours. Along with general education courses, students complete a series of psychology and behavioral science courses including Psychology of Learning and Motivation, Behavior Change Techniques, Behaviorism and Contemporary Society, and Ethical and Professional Conduct in Behavior Analysis. The coursework all culminates in a field internship and research project. Students interested in earning the Associate Certificate in Behavior Analysis can have both the educational requirements and the 1000-hour practicum finished by graduation. The ABA master of science program consists of 44 credit hours. The eight core classes cover introductory topics, legal and ethical ramifications in the field, assessment techniques, and experimental methods. Students also complete Biological Basis of Behavior: Behavioral Pharmacology and Ethical and Professional Standards in Applied Behavior Analysis along with a practical training course and a capstone. Upon graduation, students are eligible to sit for the Board Certified Behavior Analyst examination. The other M.S. option is in Organizational Behavior Management (OBM) which uses ABA theories and techniques in the business world. Students take a total of 42 hours which include the same 8-course core that is described above followed by Advanced Organizational Behavior Management and Essentials of Business Development along. Students can opt for both specialties leading to the M.S. in ABA plus OBM which requires an additional 10 credit hours. The M.A. in Professional Behavioral Analysis is a hybrid program as all coursework is offered online, and the practical portion of the program can be done at any approved site in the country. Students first complete stage one, consisting of the 18-hour Behavior Analyst Certification Board standard series followed by Current Topics in Behavior Analysis and Coordinating Behavior Analysis With Psychiatric and Other Medical Services. The stage two curriculum includes three mathematical and experimental courses as well as a practicum and capstone. Like the ABA M.S., graduates are prepared and eligible for BCAB testing. The final graduate program available is the Ph.D. in Behavior Analysis which consists of 87 total credit hours including the master’s component. The additional courses primarily involve statistics, research methods, and dissertation preparation. Finally, the two ABA certificates consist solely of the coursework required to sit for the Board Certified Assistant Behavior Analyst or Board Certified Behavior Analyst tests. In 1958, the Brevard Engineering College opened due to NASA’s need for specialized technicians and scientists with classes initially held in the Melbourne Municipal Airport. 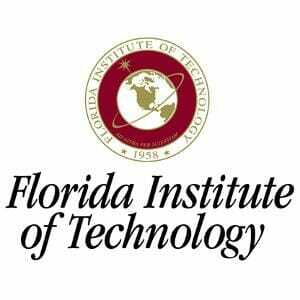 Over the next 15 years, the school moved to a separate location in Melbourne, Florida, expanded, and changed its name to Florida Institute of Technology. Today, the school is located on the same campus and enrolls over 5000 students each semester. While it is still known as Florida’s STEM University, meaning there is a focus on science, technology, engineering, and math, many more diverse disciplines have been added in the College of Psychology and Liberal Arts and the Nathan Bisk College of Business. The importance of research and innovation is emphasized in all fields, and new research facilities are regularly built including the Scott Center for Autism Treatment, one of the newest additions. Not only is the campus growing physically, but faculty are also taking advantage of new teaching methodologies and expanding the online course offerings. Many of Florida Tech’s online programs are among the best in the country according to the U.S. News and World Report which has ranked the school in the top 50% out of all online bachelor’s programs with the graduate IT online degree at #25 and the online business programs at #73 nationally. The Florida Institute of Technology is regionally accredited by the Southern Association Of Colleges And Schools Commission On Colleges (SACSCOC). This designation verifies that the school continues to meet all standards established by the commission in a variety of areas including business structure, academic rigor, financial standing, and student engagement. After initial accreditation, schools undergo regular reevaluations, and one of the requirements for reaffirmation is that the school demonstrates a commitment to continuous improvement. While the SACSCOC looks at the school as a whole, other organizations review the quality of individual degree programs. The Association for Behavior Analysis International (ABAI) has provided this specialized accreditation to Florida Tech’s graduate ABA programs. Freshmen applicants need to submit the online application along with official high school transcripts, a letter of recommendation, a personal statement, detailed list of extracurricular activities, and ACT or SAT results. In addition, ABA majors need to complete at least three years of high school math and three of science. Transfer students with over 24 hours of transferable credit only need to submit transcripts with their application. However, those with fewer credits must include standardized test scores. In order to qualify for graduate admission, prospective master’s students must submit transcripts showing an undergraduate degree with at least a 3.0 GPA, while doctoral admission requires a 3.2 GPA in all previous graduate coursework along with a completed master’s degree. Other application materials for the ABA M.S. and Ph.D. programs consist of three letters of recommendation, GRE scores, a resume, and goal statement. Full-time undergraduate tuition is $18,730 per semester for the Applied Business Analysis major with online courses costing $510 per credit hour. Graduate courses at the Melbourne campus cost $1241 per hour with online students paying $777 per credit hour. Many students in the graduate applied behavior analysis continue to work full-time and take advantage of tuition assistance programs wherein their employer covers some or all of the tuition costs. In addition, there are also graduate assistantships available which grant tuition waivers in exchange for researching, teaching, or administrative work on campus. Doctoral students who have secured research funding from outside the university are eligible for the Doctoral Graduate Research Assistant Tuition Scholarship (DGRATS). There are also many donor-funded and endowed fellowships and grants available to both undergraduate and graduate students at Florida Institute of Technology.